HMD Global plans to unveil new devices on an event on 31st October in India. At the moment, rumors exist about two unannounced Nokia devices – Nokia 2 and Nokia 9. Nokia 2 is rumored to be a low-end device with a huge 4000mAh battery, and $100 price tag. The 2 is also the device HMD will most probably announce next week in India. The second is Nokia 9, HMD’s top of the line device rumored to come with a “bezel-less” screen and a more powerful camera. HMD could also unveil Nokia 7 for the Indian market next week, but, as always, we will be sure when HMD officially announces the devices. 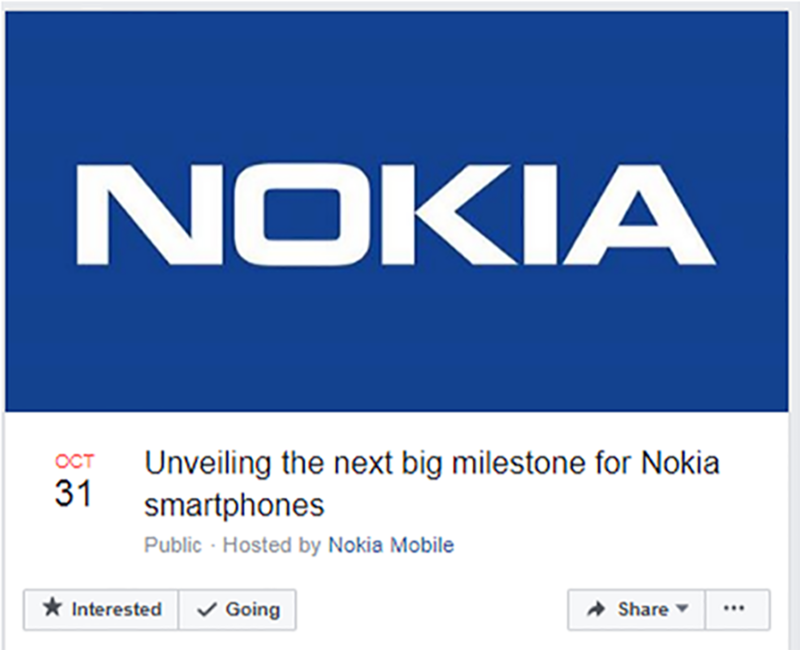 The event in India will be live streamed on Nokia Mobile’s India Facebook page. You can check the livestream, that will be live on 31st October, by following this link.